Are your Simmies tired of the usual pink and blue bedrooms? Do they camp out in front of the television watching re-runs of their favorite crime shows? Then you don't want to miss this! 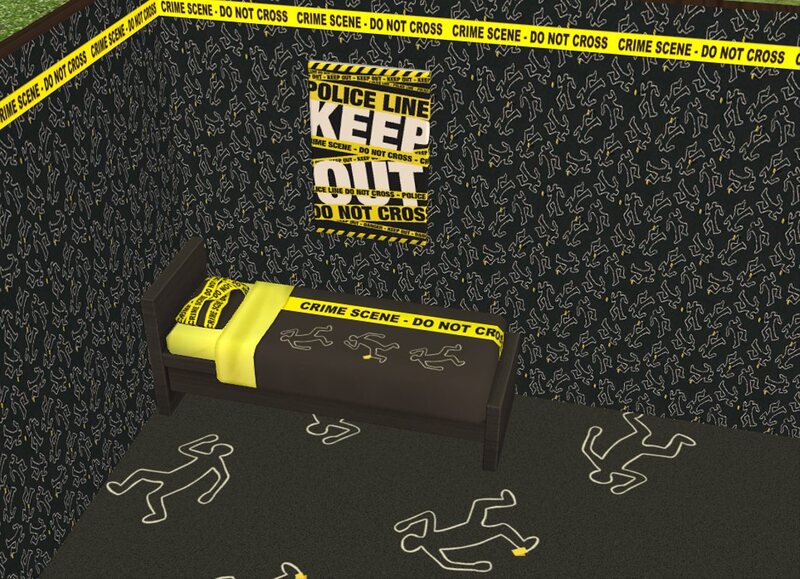 Thrill your budding CSI's with their very own Crime Scene Bedroom! This is just a simple set: a wallpaper, 2 floors, bedding and a painting. Haha that is so cute, I love it! Thanks for sharing.